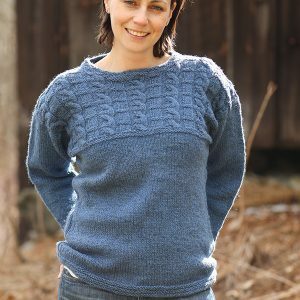 Norwegian Roses is knit in four colors of worsted weight yarn with a myriad of possible colorways. 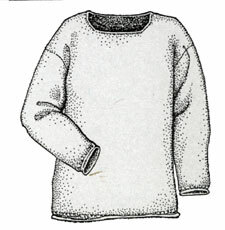 The body is made in one piece; front bands and neck are four rows of single crochet. Sleeve cuffs are turned under and sewn in place for double thickness. 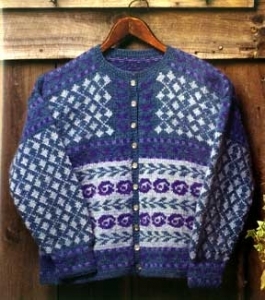 Pictured in Wintergreen, Periwinkle, Sky Blue, and Ice Blue Mountain Mohair.